Product prices and availability are accurate as of 2019-04-19 10:58:40 UTC and are subject to change. Any price and availability information displayed on http://www.amazon.com/ at the time of purchase will apply to the purchase of this product. We started Dreambaby in 1998. 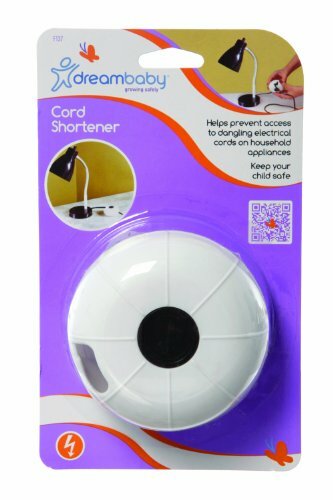 Our aim was to create a new brand focussing on child safety products, developing new products to reduce the number of avoidable injuries to children from household accidents such as poisonings, slips and falls, cuts and bruises and many other hazards which result in thousands of injuries, and sadly, some deaths of young children, every day.Dreambaby cord shortner helps keep long dangling electrical cords from household appliances out of reach of children.